Stand back! There's no stopping him now! 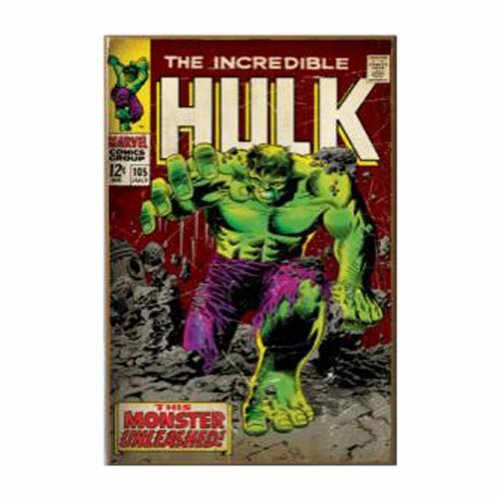 Bruce Banner's other-self from the The Incredible Hulk comics is bursting from the artwork on this Hulk Unleashed Comic Cover 3D Wood Wall Art. Measuring approximately 19-inches tall x 13-inches wide, it features a sawtooth metal hanger on the back and comes ready to hang.